Home > Shop By Brand > 303 Products > 303 Automotive Protectant Wipes - Free with Purchase! FREE 303 Automotive Protectant Wipes with Any 303 Purchase! 303 Automotive Protectant is a repackaged version of the world famous 303 Aerospace Protectant, with a new look! This advanced formula provides the utmost in UV protection on vinyl, rubber and plastic interior and exterior surfaces. 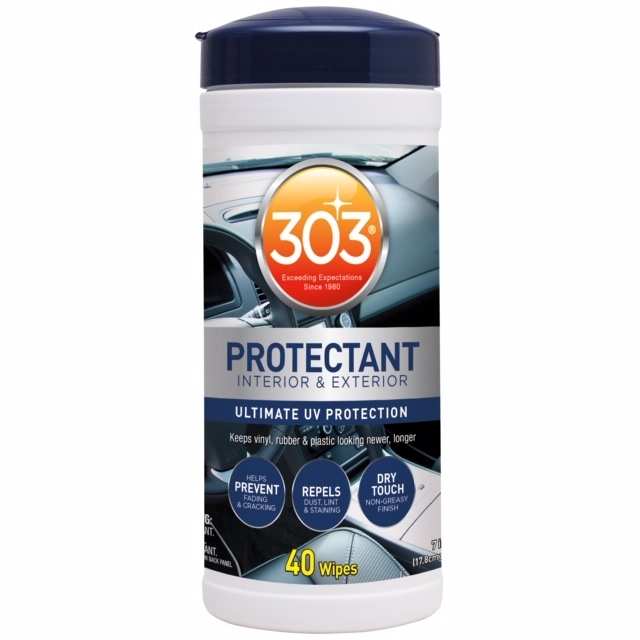 303 Automotive Protectant contains SPF40, the most UV protection offered by any surface protectant. Orders must contain at least one 303 product purchase to qualify for the free gift. Orders that do not qualify will have the free gift removed. The free gift is valid only on orders that are shipped from our warehouse. Orders with drop shipped items will not have the free gift included.